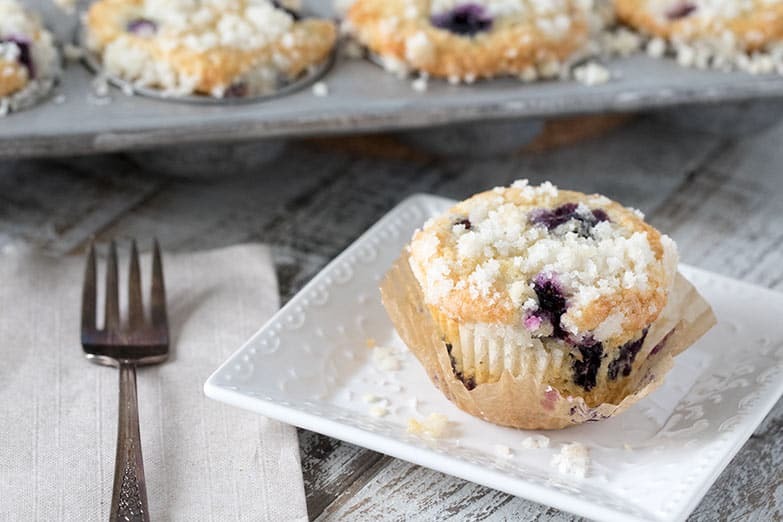 These really are the Best Blueberry Streusel Muffins! 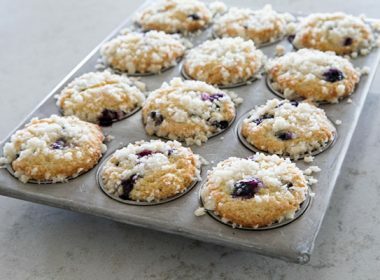 They’re big, beautiful, and tender muffins, loaded with blueberries and crowned with a sweet crunchy streusel topping. This recipe was given to her by the chef at Communal, and it is a big, beautiful muffin that rises over the top of the muffins cups. 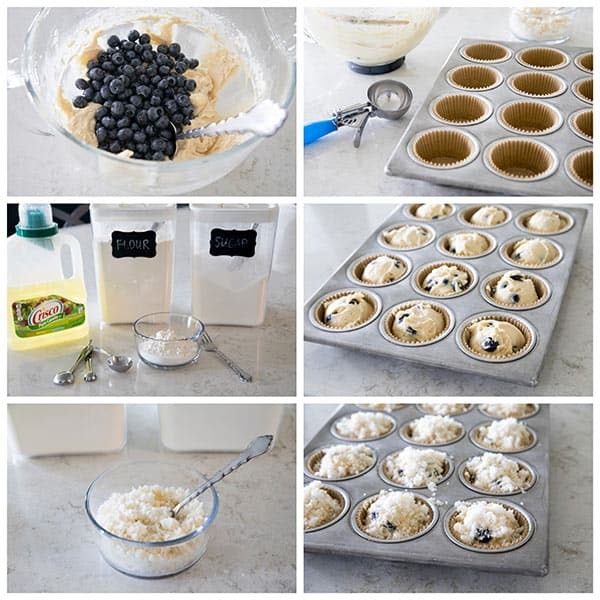 It’s loaded with 2 cups of blueberries, which don’t sink to the bottom of the muffin because of the thick, coffee-cake-like batter. Our family loves a streusel topping on muffins so I added an easy to make sweet/sandy streusel topping. Muffins without a streusel topping are kind of like cupcakes without frosting. Delicious without it, but irresistible with it. 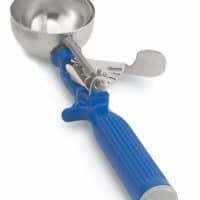 I use a scoop to perfectly portion out the muffins, and I love using If You Care Baking Cups. 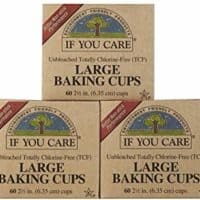 They’re the best muffin / cupcake papers. The muffin pulls away so easily from the paper – no wasted muffin. 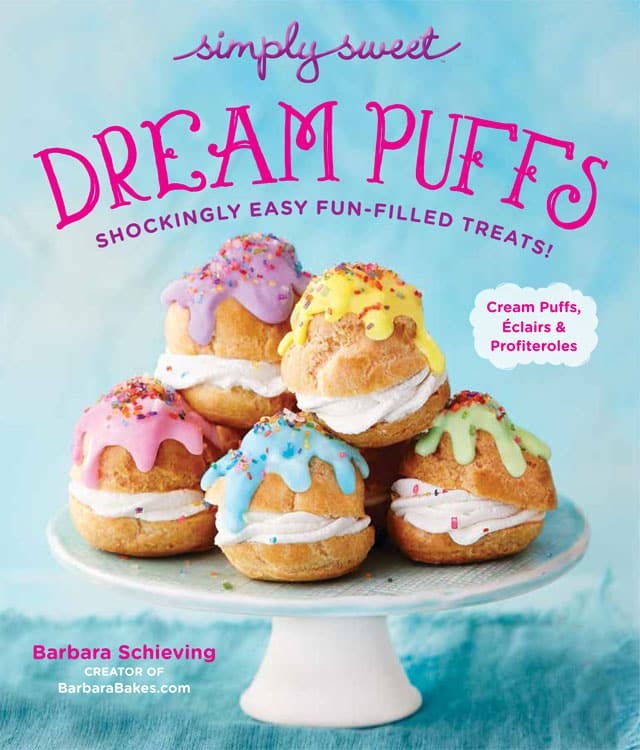 You can also bake them without the muffin papers, but clean up is so much easier if you use papers. Making the streusel topping with oil gives it a great sandy texture, but if you prefer, you can substitute butter for the oil. When baking something that comes together as quickly as muffins, it’s especially important to have all your ingredients gathered together and ready to go (mis en place). If you have everything assembled, from scratch muffins don’t take much more time than muffins from a box. This recipe uses 1/2 cup (1 stick) of room temperature butter. 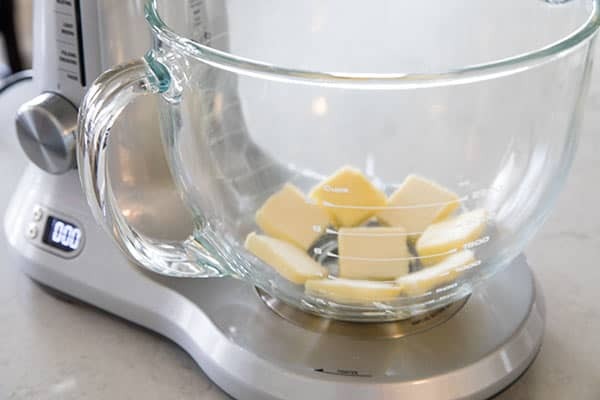 To quickly warm up your butter, cut it into slices and let it sit in the bowl while you assemble all your ingredients. I like to make the streusel topping first so that it’s ready to sprinkle on and I don’t get lazy and leave it off. Update: These really are the best muffins! It’s become one of my most popular recipes. If you haven’t made them yet, definitely give them a try. If you have a recipe you consider THE BEST, I’d love to hear about it! In a large bowl, beat butter and sugar until light and fluffy. Add eggs, vanilla and milk. Add flour mixture and stir until just combined. Stir in blueberries. Bake at 350º for 20 to 25 min, until a tester inserted into the center comes out clean. 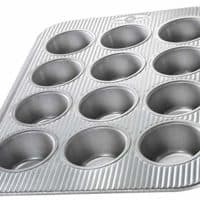 When muffins are done, cool for a few minutes in the muffin pan before removing to cool on a wire rack. I have made these three times and my family can’t get enough. That’s great – thanks Brandy! These muffins turned out great! Next time I would add cinnamon or some other flavor to the batter because without the berries they would be pretty tasteless. As others have commented, these muffins needed a longer cook time than specified. I ended up cooking my large sized muffins around 35 minutes. The normal size muffins around 30 minutes. The streusel topping is great. I ended up using tri-berry (raspberry, blackberry and blueberry) and it turned out delicious! I would make these again but I’m also open to other recipes so it means that they’re great but not the best ever. Thanks for the feedback Maggie – glad you enjoyed the muffins. The cook time will change depending on how juicy your berries are. Definitely change up the batter how you like. I prefer the great fresh taste of the berries and no spice in the muffins. 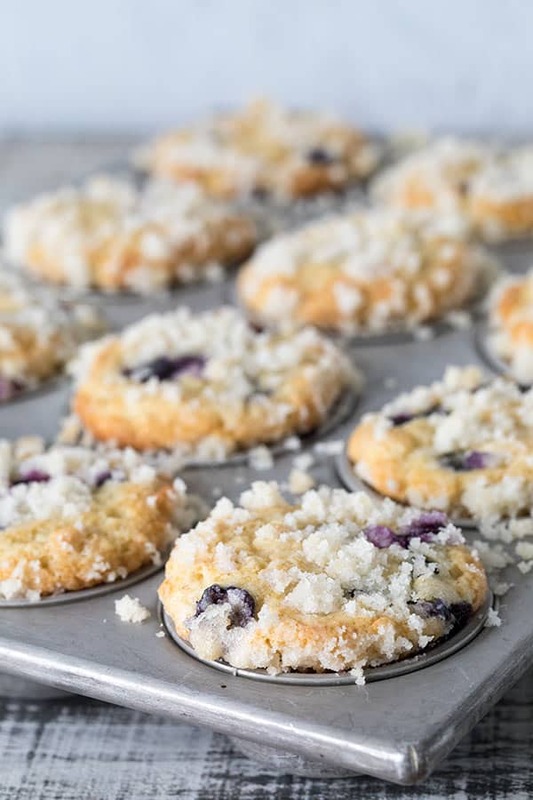 I can’t believe I haven’t commented until now— I have been using your recipe for at least two years and this is THE BEST BLUEBERRY MUFFIN RECIPE EVER!! I started making these because my husband loves Starbucks muffins— and now that they’ve changed their recipe, I’m so glad I know how to create something even better than their old ones! I get more compliments on these muffins and when asked for the recipe always send them to Barbara Bakes! They are delicious even without the topping, but I took your advice and make it first to avoid forgetting. Thank you so much for Posting this! Have a wonderful day! Could this be made in loaf form? If so, how long should it bake for? 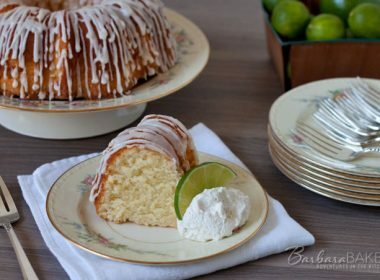 Hi Angle – I have made it in mini loaves https://www.barbarabakes.com/lemon-blueberry-quick-bread/ with the addition of lemon. 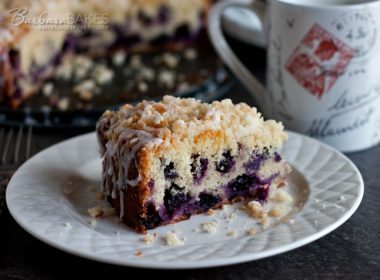 I’ve also made it as a coffee cake https://www.barbarabakes.com/lemon-blueberry-coffee-cake/ If you’re making bigger loaves, just cook it until it pulls away from the sides and has an internal temperature of 205°F. I live in high altitude. are there any adjustments you would recommend? I do use high altitude flour. I’m at 5,000 ft so unless you’re substantially higher than that, you shouldn’t need to make any changes. 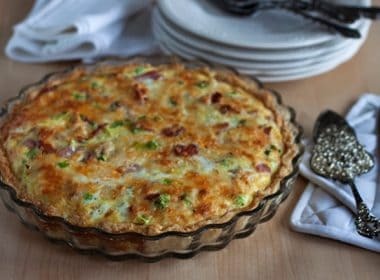 King Arthur Flour has a good guide for adapting recipes https://www.kingarthurflour.com/learn/high-altitude-baking.html Enjoy! I think using brown sugar for the topping mix would be good. That’s a fun idea. Let me know if you give it a try. Hi. Delish looking muffins! If I use frozen blueberries do I need to thaw them first? Thank you for the recipe! Thanks Lisa! No you don’t need to thaw them first, but your cook time will be longer when you use frozen blueberries. BEST blueberry muffins I’ve ever had! But I do agree, they needed to bake a little longer, but I got huge raves over this recipe. Thanks Rae! The size and juiciness of the blueberries can change the cook time. Also using frozen berries you’ll need to increase the cook time. 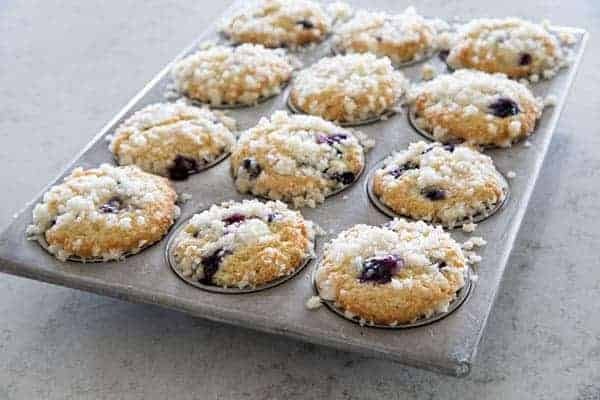 It’s so easy I have them in the oven right now can’t wait to eat one my son just picked the blueberries for me.we live in Marquette Michigan it blueberry time. How great to pick your own blueberries! Enjoy! Fantastic muffins! I did the topping a little different, with butter instead of oil – but they are amazing. This recipe is a keeper and I’ll never use a box mix again!! OMGosh! Excellent!!! I did topping a little different but this ROCKS! Just came out of oven; shared it with neighbor and she loved it too!!! Thanks! God Bless! Thanks Peg! So nice of you to share with a neighbor. How did you top it? In the picture it looks like you coated the berries? I had a recipe from Cooks Coumtry that did this and I can not find it and do not want to pay for it ?.did you toss the berries in the flour? 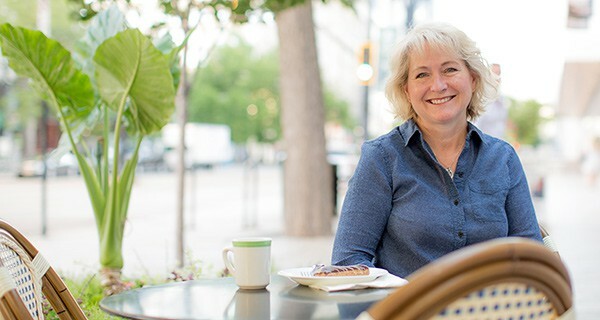 Hi Kellie – you can toss the berries with a tablespoon of flour to help keep them from sinking to the bottom, but in this recipe the batter is so thick that they really don’t sink, so I eliminated that step. Enjoy! I just took these out of the oven, & tasted them…..they are just as good as you said!! They were so easy to make too! I’ll never be able to go back to a mix. Thank you for the recipe. This will definitely be on my Christmas brunch table. These muffins are everything you said they would be!! Thank you so much they made my families morning! My husband and I love these, and I’ve probably made them 3 times now. Frozen blueberries always seem to increase my cooking time by another 5 minutes (or it’s hard to get a clean fork if I hit a berry!). I haven’t tried it with fresh berries yet. Any suggestions? I make sure I keep a bag of frozen berries on hand, rather than risking fresh ones going bad. I have no desire to go back to using box mixes after eating these! Thanks Jen – so nice to hear you love them as much as we do. Definitely hard to eat boxed blueberry muffins after having these. I would just add 5 minutes to the cook time and use your frozen berries. Or could you make the batter the night before? Just try to save some time in the morning! Not really because your baking powder starts working as soon as it’s wet. You could mix the streusel topping and the dry ingredients together the night before and leave the butter out on the counter with the sugar ready to mix in the morning. Then they’d come together really quickly. Thank you for your quick reply and for the suggestions. That helps! These look delicious! Can you make them the night before? Thanks Kim – you can, but the streusel topping is definitely best right after they’re made. Sometimes I’ll put a paper towel on top of them in a Ziploc bag to absorb some of the moisture. These were absolutely the most delicious muffins I have ever had! I’m wondering though, could the batter recipe be used to make banana chocolate chip muffins as well? Thanks Rachel – so glad you loved them. The banana would throw the ratios off. 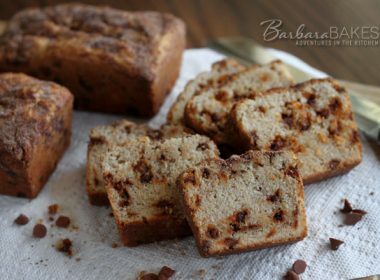 Try this recipe instead http://www.barbarabakes.com/chunky-monkey-banana-muffins/ It’s great! Just made these with my littles and they are so so yummy! 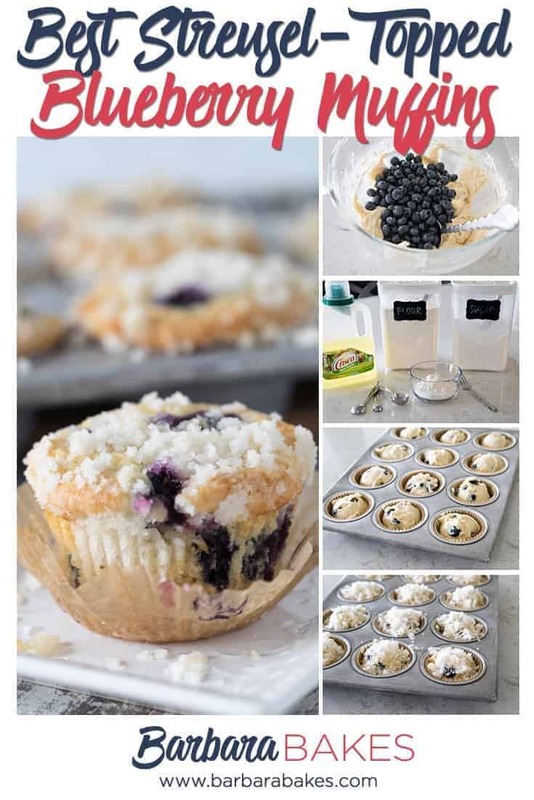 Most definitely are go to blueberry muffin recipe now! ? ?